We believe in saving teeth. Today, 9 out of 10 teeth with infected nerves can be rescued with Root Canal treatments. 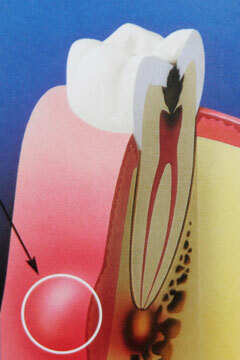 Infected teeth can be very painful after the treatment, the pain is gone. Plus, it’s vital to remove the source of infection for your dental and overall health. teeth with old, discolored bondings. Are you searching for information on root canals or endodontics in Boynton Beach FL? It is Dr. Salee’s mission to help you keep your teeth for a lifetime. He is well-versed in endodontics, the dental field that treats disorders of the nerve of the tooth, using procedures like the root canal. You may have been told that a root canal is necessary to save one of your teeth. In the past, any tooth with a diseased or infected nerve had to be removed. Today, in 95% of cases, a root canal can save your tooth. Standard of care dictates that it is necessary to apply a crown afterwards, to preserve your appearance and protect your tooth from further damage. One can compare a root canal tooth to a tree that looks healthy but is actually dead. Everyone knows that dead trees are the first to topple in a storm, much as root canal teeth are the first to break under heavy biting forces. 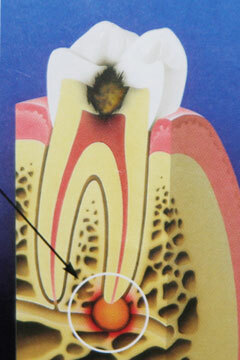 A crown will protect your devitalized root canal tooth from this type of fracture. Whatever the cause, the tooth is at risk. The nerve becomes irritated and infected, causing swelling, pressure and pain. The face may swell up. As bacteria attack the nerve, the bone surrounding the tooth may become infected and abscessed, and begin to deteriorate. At times, this process happens so gradually, there’s little pain. At other times, it may be very painful. If a cavity forms and goes untreated for too long, it can penetrate to the nerve, where infection can occur. During a root canal procedure, the dentist removes some tooth enamel to gain access to the root, and removes the nerve. When the nerve is infected, the root can become abscessed, causing swelling and pain and thus requiring immediate attention. The dentist fills the root, or nerve space, with a synthetic material and the cavity with a tooth-colored filling material. Dr. Salee first examines you and your x-rays to determine if you need endodontics in Boynton Beach FL. If so, he will set a treatment plan in motion. You will be scheduled into a series of appointments. It is essential to keep these appointments and take all prescribed medications to prevent delays, reduce swelling and heal most effectively. 1. Our first concern is to relieve pain and ensure your comfort during the treatment. An anesthetic may be used to numb the tooth and surrounding areas. With care, the tooth is isolated, to protect the mouth. 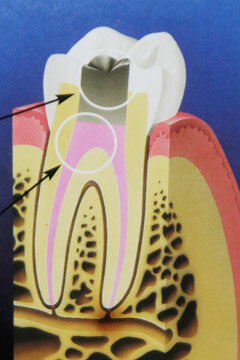 An opening is made through the crown of the tooth into the nerve. Infected or diseased nerve tissue is removed. Dr. Salee cleans, enlarges and shapes the root canal area inside your tooth. Then the root canal and nerve chamber is permanently filled and sealed. Dr. Salee determines what’s best to assure your comfort and best outcome. Some cases require medication to control bacteria growth and reduce infection. A temporary filling protects the tooth until the next visit. The tooth may be left open to allow the infection to drain. 2. At the next appointment, Dr. Salee cleans thoroughly inside the tooth, removing any bacteria. New x-rays ensure that all infected pulp is gone and canals are well prepared. Dr. Salee permanently fills and seals the nerve chamber. 3. 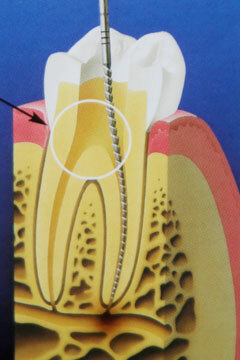 Once the root canal treatment is complete, the tooth should be fully restored. In most cases, the standard of care dictates placing a crown or a bonded ceramic restoration such as an inlay or onlay for durability. If not crowned, the root canal treated tooth will be more brittle than a natural vital one, and is more vulnerable to fracture. The tooth will become discolored as well, as a result of dehydration from having its pulp(nerve and blood vessels) removed. For more information on root canals or endodontics in Boynton Beach FL contact us today!